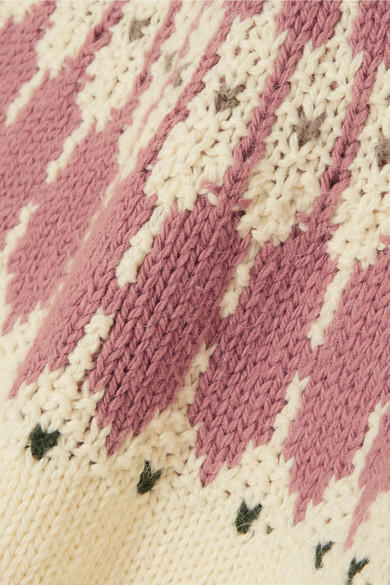 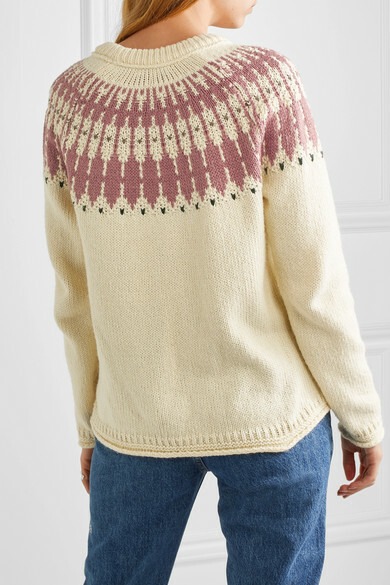 Originating from the Scottish island of the same name, Fair Isle knitting was a tradition started by the wives of fishermen, who made sweaters for their husbands to wear at sea - over 100 years later and it's one of the most distinguishable patterns to date. 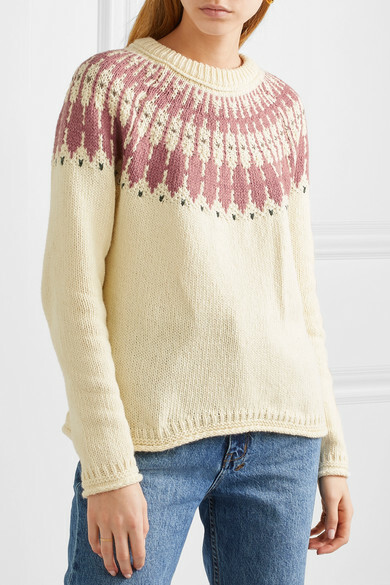 Madewell's cotton-blend version is woven with cream, antique-rose and black threads and has dropped shoulders to accentuate the slightly loose fit. 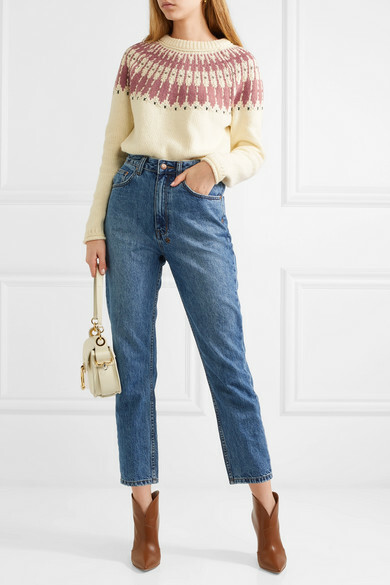 Shown here with: Ksubi Jeans, Chloé Shoulder bag, Gianvito Rossi Ankle boots, Jennifer Fisher Ring, Sophie Buhai Earrings, Grace Lee Ring.